So, how big is the gender pay gap? On average, women in the workforce earn 19.5% less than men, with female bankers missing out by 40%. It begs the question: why, 40 years after the introduction of the Equal Pay act, are women still earning less and why has this become “acceptable”? The gender pay gap continues to be labelled a ‘myth’ or justified as the result of maternity leave. Yet, there is overwhelming research disproving this, with the latest results from AESHE showing there is a 9.4% gap between full-time male and female workers. In monthly earnings, there has been a consistent £100 gap between gender earnings since 1997. This pay gap varies between industries, yet the UK Commission of Employment and Skills (UKCES) has found in 9 out 10 industries, women are earning less than men, with financial and insurance sectors having the largest pay gap. In 90% of sectors, women have lower incomes than men. For women in business, who are already in a male dominated field with only 21% of business owners being female, they are reportedly being paid 35% less than men in senior roles. The gap for self-employed women is 41%. For those in managerial roles, women under 19 are paid 12% less, with the gap falling to 8% by aged 25, which shows that the gender pay gap is there right at the start of women’s careers. And it’s not just about salaries. There is also a persistent, and less visible, bonus pay gap. The average bonus for a female director is £41,956, while male directors pocket £53,010. In academia, the last Equality in Higher Education: Statistical Report 2015 revealed that female academics were paid £6,146 less than men. And far fewer women gain promotion to the higher pay brackets above £50,000; around 37,425 are male, compared with just 17,415 women. As for women in scientific and technical occupations, UKCES research found the highest pay gaps were in these skilled industries, with women receiving 24% less pay. Those industries are also defined by a sharp decline in the number of women as salary brackets rise. For women in work, it is time to stop ignoring the pay gap and take action. Awareness of the gender pay gap has been increased by celebrity and media coverage, with women’s magazine Marie Claire recently rebuking the pay gap myth. 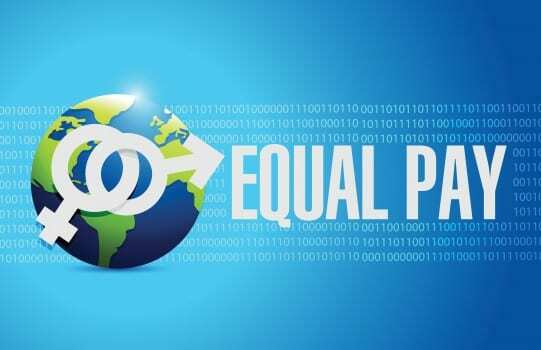 Creating awareness will encourage businesses to set about correcting unfair pay differences and encourage individuals to do what they can to chip away at the pay gap around them. For women in education, the pay gap can’t be ignored but it is being addressed and encouragingly colleges are working to get more female teachers into higher professional roles. The success so far has seen a 23% rise in female college professors. Education itself is playing a major role in changes to women in the workforce. The STEM Alliance has been designed to inspire, nurture and educate young students into STEM based subjects. The program aims to encourage female students into skilled trades including engineering and equip them with the knowledge to gain promotion to higher positions within these industries, reducing gender inequality. But with the UK claiming the lowest level of female engineers in Europe, there is a long way to go. Legislative change is important precursor to culture change. There is some movement: from 2016, all companies with more than 250 workers will be forced to disclose the pay gap in their workplaces. Female ministers continue to make the case and government women’s enterprise champion, Lorely Burt, addressed the issue for female entrepreneurs in her review of Inclusive Support for women in Enterprise. Burt states that the growing number of entrepreneurial women will play a greater role economic growth and that we need to establish support structures that meet their needs. While it’s unclear what the future holds, there is renewed pressure to make changes. Perhaps most importantly, high profile women are now speaking out and being heard on this issue. Until there is real change, the volume is set to get louder.